I have frequently used the analogy of a moving ”bus” to represent accountability and agendas, particularly in business. But the metaphor also works in our personal lives. I have learned through the years that if you have no concept of the ”bus” (motives, agendas and /or needs of others) then you are very likely riding someone else’s. If so, you were probably riding someone’s bus! This is not a criticism, we all do it. What I am calling out here is that we stay keenly aware of when we are the driver, a passenger, or the bus owner. If you are moving through your life making decisions and taking action purely out of obligation, you are a passenger on the bus of whomever the obligatory behavior is benefitting. I hate to say it but, staying on a job, in a marriage, or other such highly impactful life roles purely out of obligation or fear are the epitome of riding someone else’s bus AND giving away your own power. If you are getting up every day going to a job you hate, working for a boss you loathe, and with people you despise, because you ”need the money” believe me, those people and that boss are noticing. If you don’t take control of that bus, you may be involuntarily extracted at the next stop! And God forbid that you are kicked out unprepared at an undesirable location. Having been in Human Resources for as many years as I have, I have seen this happen time and time again from entry to the executive levels. Get control of that bus! Dust off that resume, learn a new skill, start a new business, or start interviewing. Do ANYTHING to show the Universe that you are open to change. You’ll be surprised at how quickly you’ll find another bus! If you are in a horrible marriage because you want your kids to be raised by two parents, or because you think your spouse/partner needs you, you are not the owner of the bus. At best you are on a long-term lease, planning some long-term exit that will happen once the damage is done. Give your very bright kids some credit! They know you are not happy and you’re teaching them to live unhappily. And as for your partner, he/she knows you’re not happy and might be unhappy too. Drive the bus by opening honest communication with your partner and children, get counseling or get out. The best parent is a happy parent, not simply a married one! The best partner is a happy partner, not a trapped one! I know people whose parents slept in separate bedrooms, were subjected to issues like; domestic violence, alcoholism, blatant cheating, and/or other unhealthy relationship behaviors. Guess what? Many of them ended up in the exact same situations with their own marriages. Heck, this may even be YOU! Get in the driver’s seat of that bus or risk being taken down roads that lead you or your loved ones into dead ends. Check the navigation to ensure or that you are not going back and forth between the same places. Chances are if you have no idea who’s driving, it is unlikely that it is you! If you allow another person to own or drive a bus you’re on make sure they are worthy of that role in your life. If you don’t feel good about it, move to the front of the bus and check out the navigation system. Is it still moving in the direction you were expecting? If not, are you good with the new route or destination? The key is to ask questions not only of others but of yourself. Am I really happy? If not, how is my unhappiness affecting those around me? If I am happy, what exactly is making me feel happy? If whatever is ”making me happy” is taken away, will I still be happy? Am I taking responsibility for my happiness? What have I done or not done to create my current situation? What must I do and/or learn to avoid repeating this situation for myself or others in the future (e.g. finding a partner or a job just like the last one)? Own AND drive your bus, not by controlling everything around you, but by allowing others to occupy and even drive your bus. Do this by ensuring that your destination is on course and good for all involved including yourself. Give people an easy way off of your bus if they don’t wish to ride (#ByeFelicia). Be ok if you are the only one on your bus for a while. Know that if you create the right atmosphere, people will chase your bus so they can ride! This works in business, and in our personal lives! Sometimes envious people will want to tag your bus with the graffiti of words. Make sure your bus has a clear coating that allows those words to be easily wiped away. Keep your bus in order. Don’t carry the negative words to your next destination! We ride many buses every day… Just be sure you know whose bus you’re on and when it might be the best time to get off! Exit on your terms! And be aware of who jumps on your bus! Be willing to let people leave without retaliation and anger! You’d be surprised at how easily people will leave if you just open the door. Love, Light and Bus Driving! 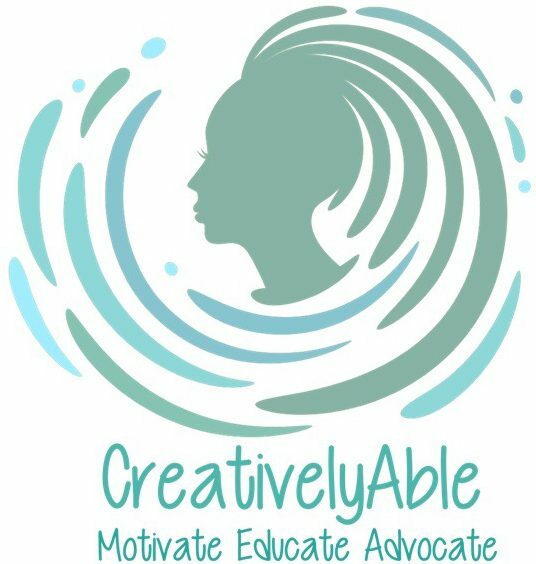 CreativelyAbling you to give your best self to your life! Please comment, share AND like CreativelyAble and this post! Great post! Thanks for encouraging people to take control of their life! Previous IS enough really ENOUGH?